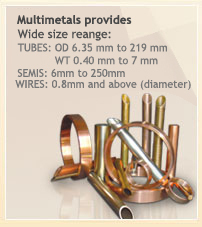 Fabricated products have also been added to Multimetals range, in order to offer added-value to customers using Multimetals mother tubes. 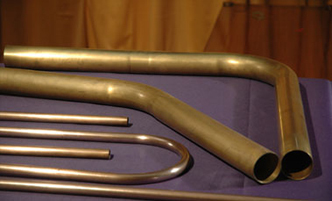 U-Bend tubes are being manufactured conforming to the International Standards and as per the customer’s requirement. Roundness, Straightness, Uniformity of the wall thickness and inner and outer surface of the tube are the unique features so as to make them suitable for intended Applications. Special care is being taken in packing this product to avoid any variation in U-bend radius during transit.